Durham Book Festival is the North East’s biggest literary event, founded in 1990, which takes place over 10 days each October in the historic city of Durham. 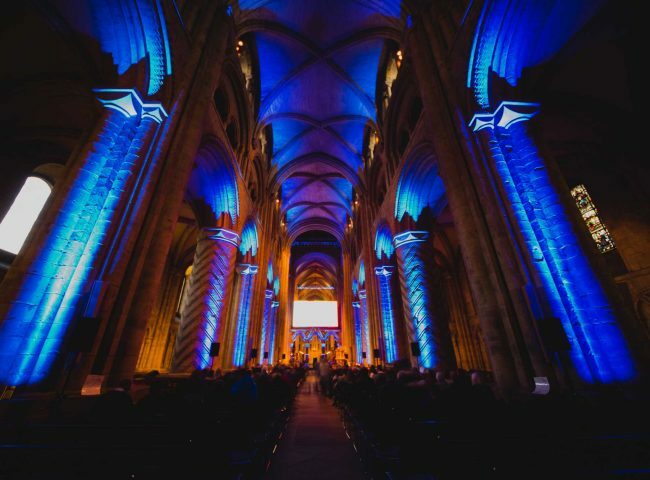 The city’s iconic venues, including Durham Cathedral and Durham Town Hall, play host to more than 70 events, showcasing authors, artists and thinkers from around the world. Previous guests have included Carol Ann Duffy, Bill Bryson, Philip Pullman, Dame Jenni Murray, Jung Chang, PD James and Michael Morpurgo. The Gordon Burn Prize, a literary prize for the most groundbreaking new books from the UK and the US, is awarded at the festival each year. The festival is a Durham County Council event produced by New Writing North, with support from Arts Council England and Durham University. We celebrate the written word in its many forms and bring the best of international literature to the region, as well as supporting homegrown talent. 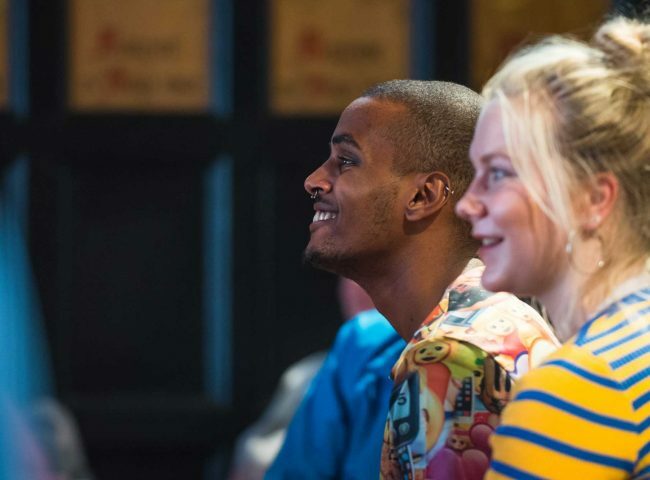 We commission exciting new work from leading writers and artists across genres from journalism and poetry to performance and pop. The festival also delivers a comprehensive education and outreach programme, including The Big Read, a project that distributes 3000 free books across the county along with reading and writing workshops, teachers’ resources and a flagship author event at Durham Book Festival. More than 70 events, a global showcase. Impactful marketing, achieving £600,000 worth of press activity and a Twitter reach of 4 million. 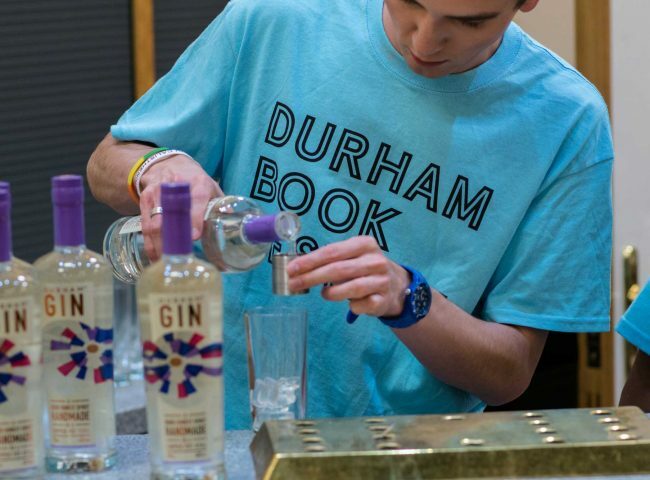 Supporting Durham Book Festival can meet your business objectives in a number of ways. Download our Sponsorship Pack to find out more. To chat about opportunities, please contact Rebecca Wilkie at New Writing North at rebecca@newwritingnorth.com 0191 204 8850.